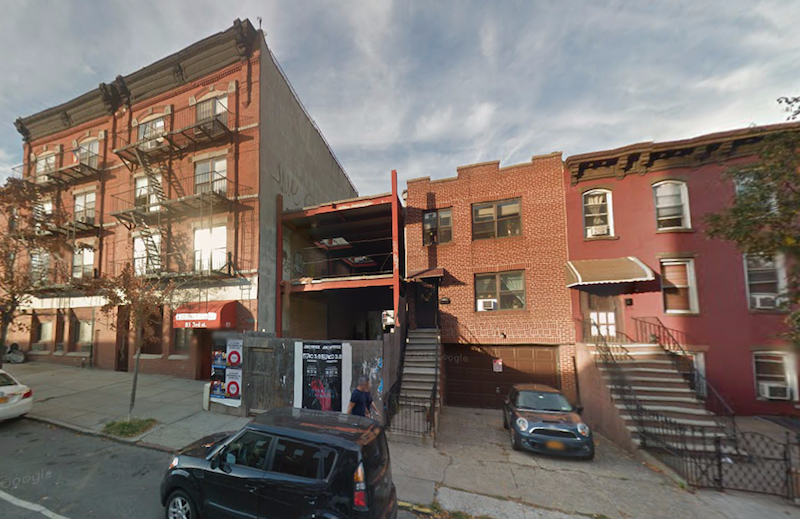 An under-construction residential project at 85 Third Street in Carroll Gardens is on the market with an asking price of $3.2 million. Located between Bond and Hoyt streets, the site comes with approved permits for a three-unit, five-story, 5,517-square-foot building. The property currently has a full 20′ by 90′ foundation and partial steel structure in place, according to the TerraCRG listing. In 2006, the two-family dwelling sold to Andrew Weiss for $875,000, according to Department of Finance records. In 2007, permits were filed proposing a two-story addition to the existing structure. However, PMFA reports, instead of receiving a vertical extension, the entire building was demolished. The Department of Buildings issued a Stop Work Order for the site in October 2008; work restarted in March 2009, then halted again, leaving just a new steel frame at the lot. The owner defaulted on his loan from Wachovia Mortgage Co., and the property was taken over by Wachovia in June 2011. In March 2012, Wells Fargo (which acquired Wachovia in a $15 billion deal) sold the stalled site to October Enterprises LLC for $635,000. 85 Third Street is several blocks away from a 52,000-square-foot Whole Foods at 3rd Street and 3rd Avenue. Other projects in the area include 92 3rd Street, a 90,000-square-foot loft building converted to retail and creative office space; 335 Carroll Street, a 30-unit rental that commenced leasing in April 2014; 345 Carroll Street, Sterling Equities and Avery Hall Investments’ 32-unit condo building that started sales in September 2014 and 363-365 Bond Street, Lightstone Group’s proposed 700-unit rental building with basketball court, 111-car underground garage, gym, lounge, bike storage and pool. “This property presents a buyer with an exciting opportunity to custom build their own townhouse,” Peter Matheos, Associate Vice President at TerraCRG, said in a statement. The current average listing price of new homes in Carroll Gardens is $1,226 per square foot, according to BuzzBuzzHome data.